Some write off cryptozoology, the study of legendary creatures, as a crackpot pseudoscience. But many people who actually search for Bigfoot, Nessie, and other cryptids, believe that science will one day prove their existence. It happened with the coelacanth, after all. And now it’s happened again, in a way. Cameras have captured footage of the elusive Clashindarroch Beast, and scientists have confirmed that the beast is real. Though, this “beast” isn’t from the realm of Cryptozoology. Instead, this giant was once thought extinct. 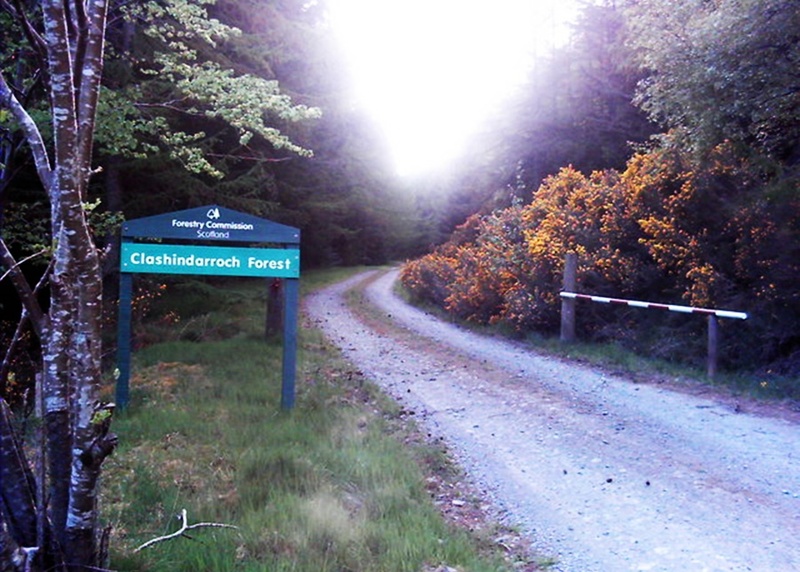 These images are proof, the Clashindarroch Forest harbors a beast, and we’re happy it still does. The footage comes by way of Wildcat Haven, a conservation project operating in the Scottish highlands. The group formed to protect the Scottish Wildcat, which is in danger of going extinct. Some of the threats facing Scotland’s only native big cat include deforestation, outright persecution, and hybridization with feral domestic cats. But, in addition to being few and far between, the big cats are also camera shy. People started to call them “ghost cats,” because no one had been able to get a good look at one. They also called it The Clashindarroch Beast, for the Clashindarroch Forest, where it was said to dwell. 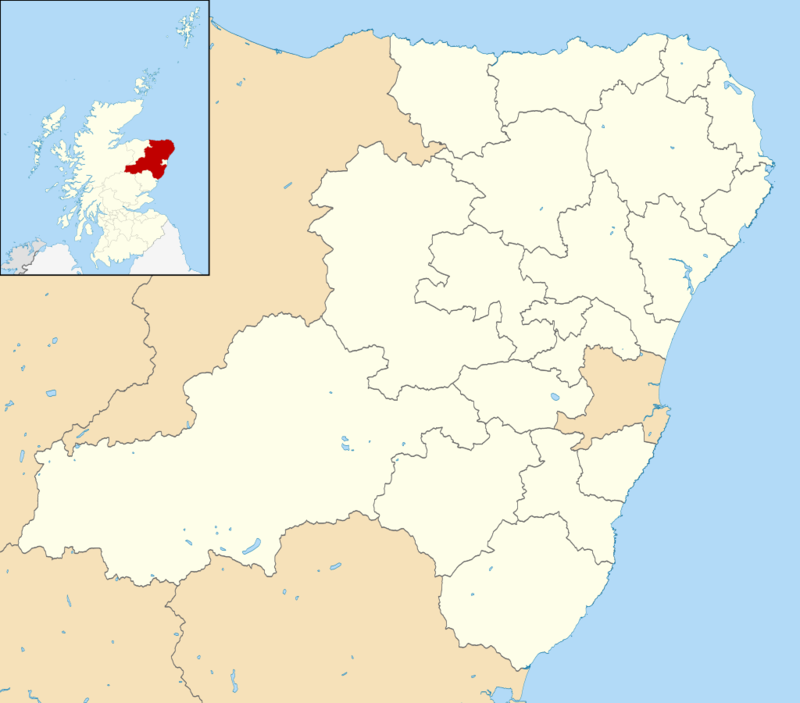 The Clashindarroch Forest is located in the ward of Aberdeenshire, in northeastern Scotland. Image CC by SA 3.0, by Ordnance Survey Open Data, via Wikimedia Commons. Have a look at this rare footage of this rare big cat. Don’t let the perspective fool you, this cat is estimated to be around 4 feet long. He is perched on a fallen tree, not a branch. The Clashindarrroch Beast isn’t a newly discovered species, like, say, the Yeti would be. Scientists already knew that the Scottish Wildcat existed. What made the Beast special, though, was that it was a pure example of the species. 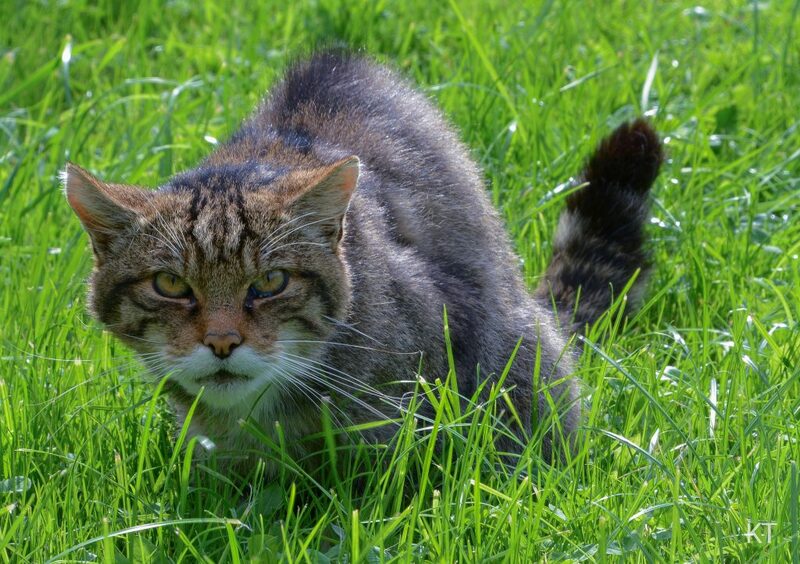 One of the biggest dangers to the Scottish Wildcat has been hybridization, that is, breeding with feral domestic cats. And people were beginning to wonder if a pure Scottish Wildcat actually existed. Some had even presumed it had gone extinct — like people had thought the coelacanth had gone extinct. Different organizations had tried for years to do a population survey, or document the big cat’s existence. But results had been, as Wildcat Haven reported, “inconclusive.” There were always isolated anecdotes here and there from hikers and hunters — does this sound familiar? The organization even has a “report a sighting” page on its website. But actual, captured footage still eluded them. Until the spring of 2018. This was the first time anyone had captured a pure Scottish Wildcat on camera. And it was, as the late Steve Irwin would have said, a beauty. Image CC BY-SA 2.0, by Carine06, via Flickr. According to Steve Sleigh, another field worker with Wildcat Haven, these “ghost cats” are one of the rarest animals in the world. Experts believe there may be only thirty-five in existence. The one in the captured images measures an estimated four feet from nose to tail. That makes it one of the largest European wildcats ever recorded, according to The Guardian. The Beast’s coat is made up of shades of brown, and it has tabby markings. Scientists were able to calculate the Beast’s exact length by measuring its size relative to the branch, where it was eating its snack. Image CC BY 2.0, by Steve Childs, via Flickr. The Scottish wildcat, the largest and one of the rarest big cats native to Europe, is under a number of threats. As humans expand, its territory shrinks. Some people have hunted them. And breeding with feral domestic cats has resulted in more hybrids than pure wild cats. But you can help, even if you’re not in Scotland. First, if you are in Scotland, and think you see a Scottish wildcat in the wild, report it. This will help scientists to make an accurate count of the cats, and document them. Second, support Wildcat Haven. Their valuable work includes trapping, neutering and releasing feral domestic cats so that they won’t create further hybrids. 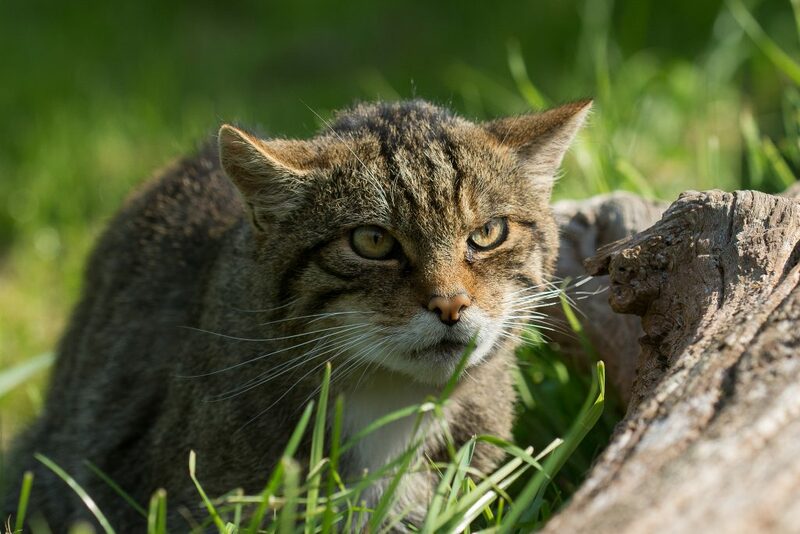 In addition, Wildcat Haven is building a wildcat reserve in Scotland, so that the Scottish wildcat can have a safe, wild place to exist. They are also involved in reforestation projects. By helping them, you can help not only the Scottish wildcat, but other native plant and animal species. Many cryptozoologists believe that cryptids are just animals that science hasn’t documented yet. If you want to learn more about this field of study from a scientific point of view, check out these books. Hunting Monsters: Cryptozoology and the Reality Behind the Myths by paleozoologist Darren Naish. Lake Monster Mysteries: Investigating the World’s Most Elusive Creatures by Benjamin Radford et ali. Abominable Science! Origins of the Yeti, Nessie, and Other Famous Cryptids by Daniel Loxton et ali.